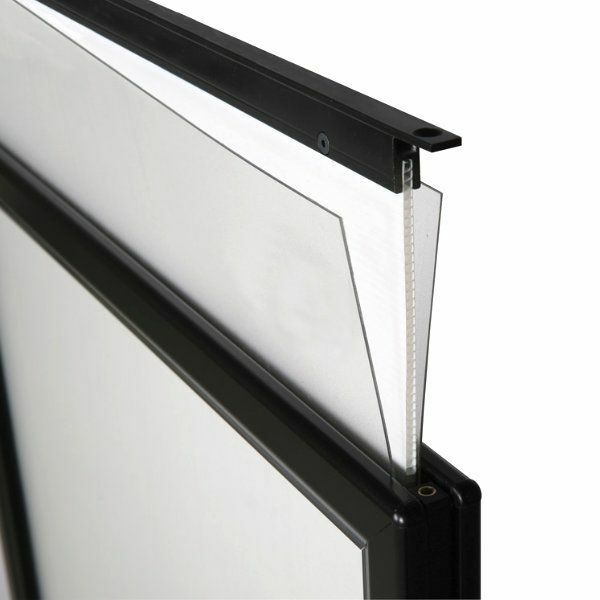 Viewable Area: 21.69" x 27.68"
Packing Size: 26.77" x 41.34" x 1.85"
If you want to make an impact in the indecisive minds of the passersby, these pavement signs are ideal solutions to display your graphics of 22″x28″. 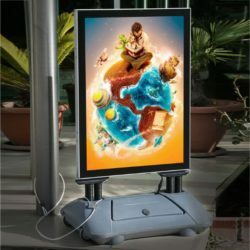 Your advertising will be safely displayed outdoors due to the spring system connected to the base which prevents the sidewalk display from flopping over in high foot traffic areas. 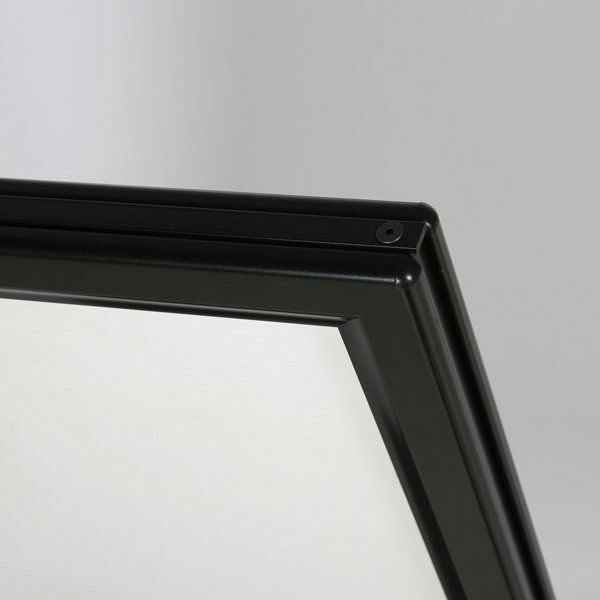 To crown it all the corners of the double-sided display are rounded, so that they won’t harm the passersby. 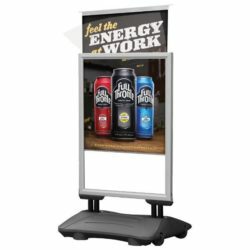 The outdoor display features black slide-in frame and a black waterbase that would highlight and therefore enhance the impact of your advertising. 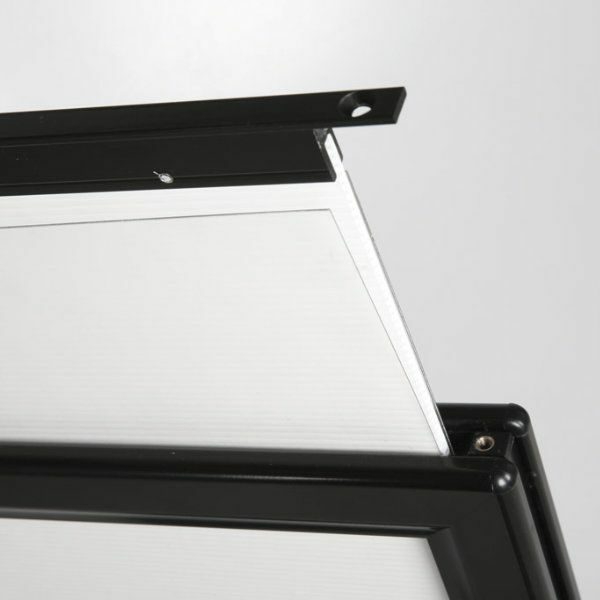 This black water base of the pavement sign is made of single moulded propylen in a special rotation machine, and therefore is flexible, long lasting and durable. Use confidently outside even in cold winter days since the industrial salt inside the water base prevents water from freezing in cold weather. 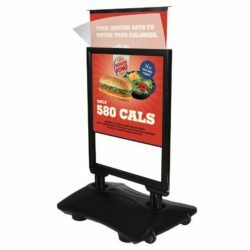 These sidewalk displays are very handy to carry in and out of your store due to the wheels on the base. 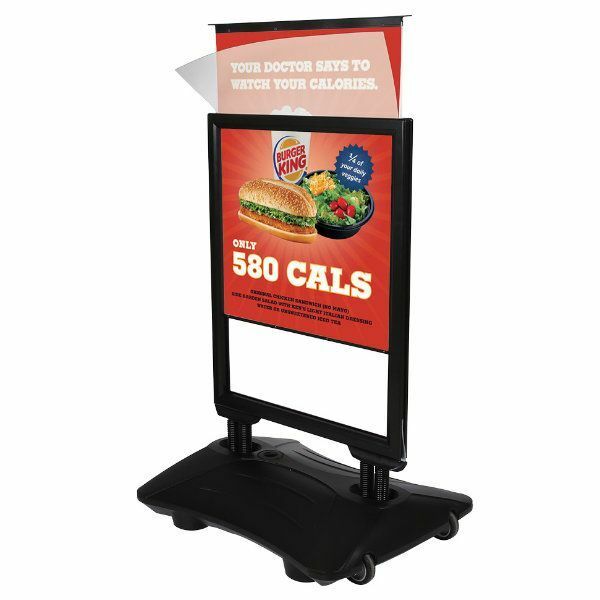 Graphic change is very practical with this double-sided display ; you just slide the poster in between the overlay cover and the support, and display the graphic safely and tautly in this sandwich board. 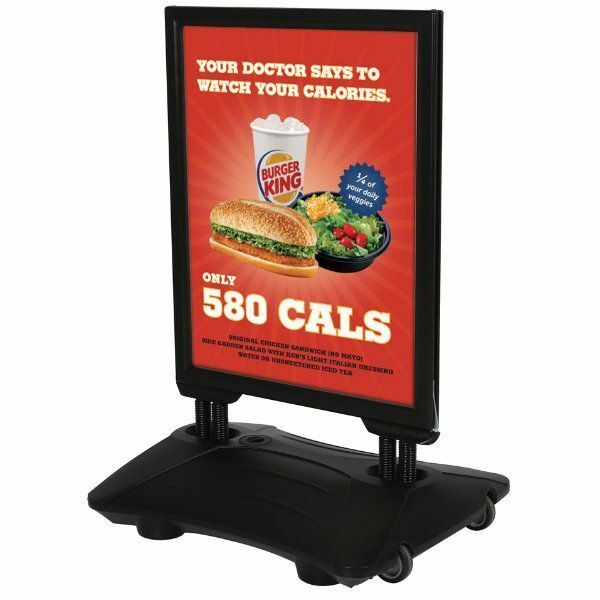 Each set of this sidewalk display contains 2 clear front covers to protect the graphic as well as to keep it clean. We also provide industrial salt to prevent freezing in winter conditions. 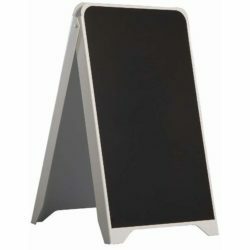 Order now this high impact, high secure display stand now! 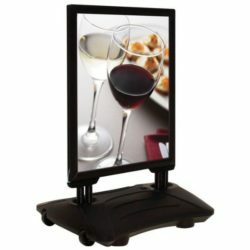 Purchased two of these items for use to promote an upcoming charity benefit. 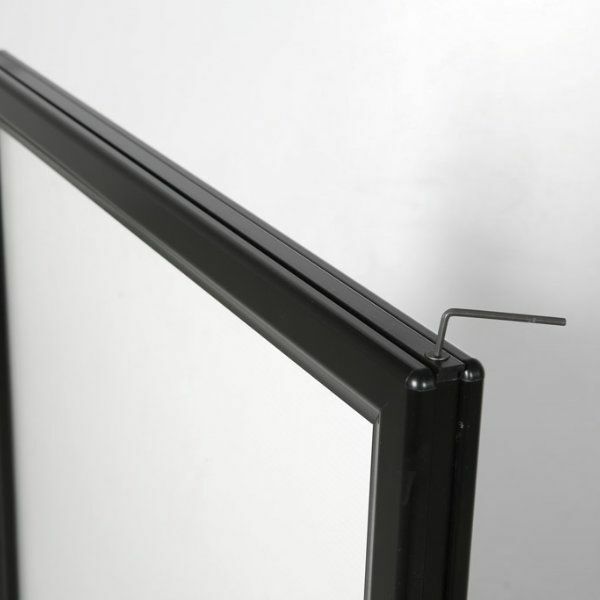 They are sturdy and work perfectly.